Have you thought about what you were going to do with your wedding gown? You may want to consider donating your gown to a worthy and beautiful cause such as angel gowns by diane. Please review the following information on Angel Gowns by Diane or visit their website at angelgownsbydiane.org Any financial donations are also very much appreciated to aid in cleaning, storing, and shipping the dresses to the families in need. Turning something from someone’s brightest day to help another on their darkest. 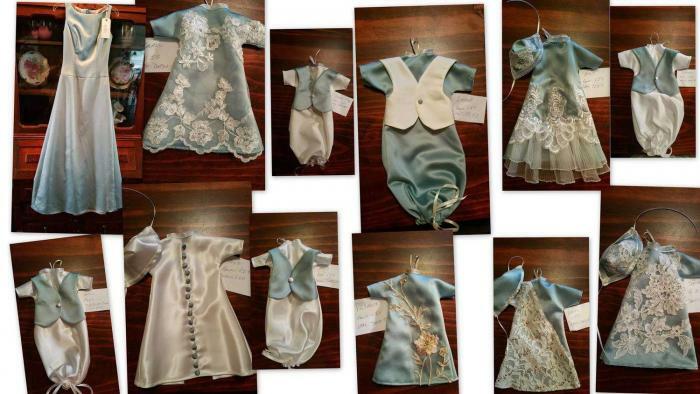 THE MISSION OF ANGEL GOWNS FOUNDATION (A 501(C)(3) CORPORATION), ALSO KNOWN AS ANGEL GOWNS BY DIANE, IS TO PROVIDE BURIAL GOWNS FOR FAMILIES WHO HAVE SUFFERED THE LOSS OF A CHILD BEFORE, DURING, OR SHORTLY AFTER BIRTH AT NO COST. 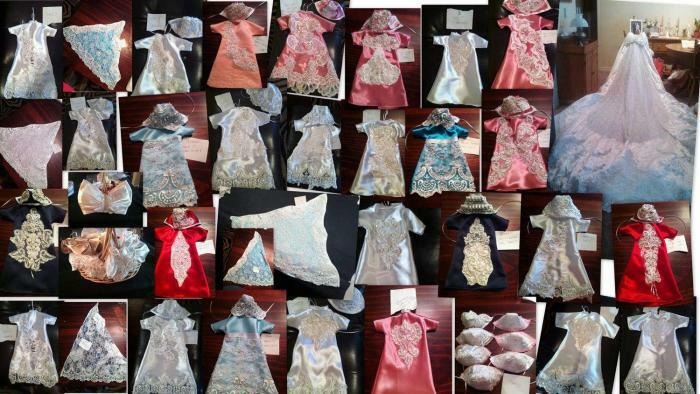 TO DO THIS WE SEEK OUT DONATIONS OF WEDDING DRESSES, BRIDESMAID DRESSES, AND OTHER FORMAL WEAR IN SUITABLE,CLEAN CONDITION TO BE DISASSEMBLED AND THE MATERIAL USED TO CREATE ANGEL GOWNS. Each dress is carefully and lovingly disassembled. Any beading, appliques, lace, buttons, etc. that can be used are removed and saved. The seamstress/cutter then begins to cut out pattern pieces. The gown sizes are micro preemie, small, medium, and large all with matching bonnets, and wraps with shrouds for the smallest Angels. For Angel Boy gowns a vest is attached. Once the gowns are finished they are collected and tagged for donation to local hospitals in the Houston area. 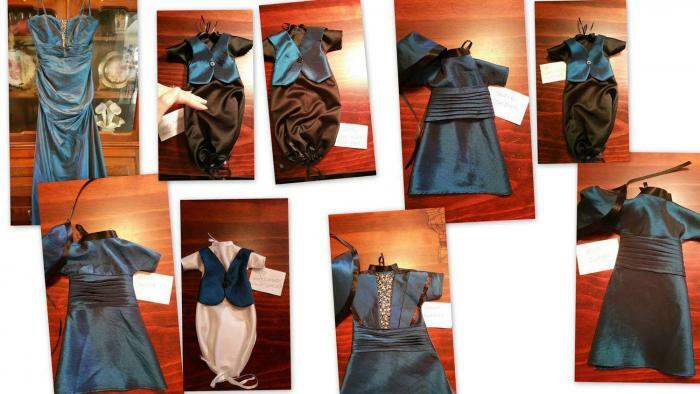 Gowns are also given to individual families and funeral homes upon request. Have donated more than 8500 gowns, wraps and bonnets to Houston and other area hospitals, NICUs, funeral homes and families. Strive to maintain a stock 100 gowns ready for delivery in the event of a new need being identified. We are a volunteer force of nearly 225 people working selflessly to help others. We have grown into 12 states and numerous other areas in TX. 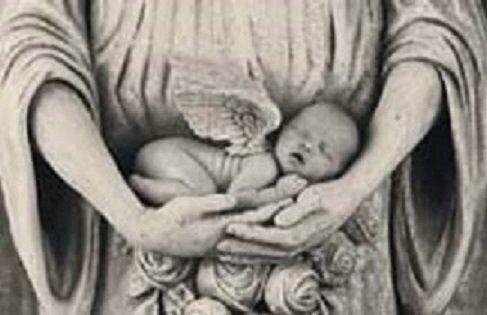 We have incorporated in Texas as a non-profit S-corporation as Angel Gowns Foundation. 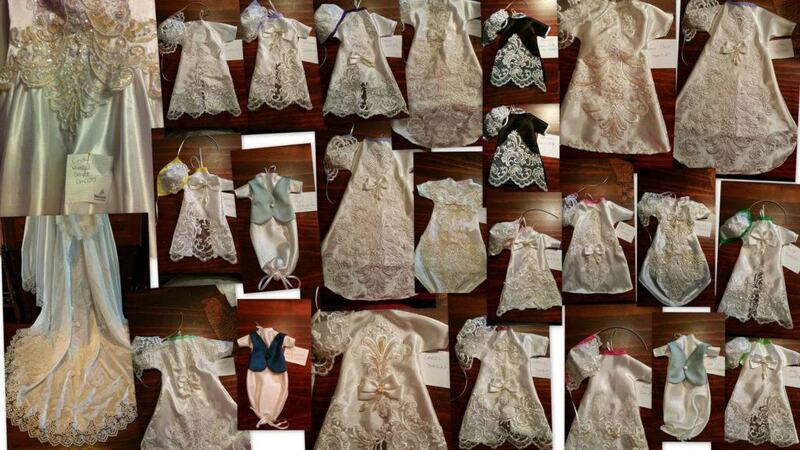 It’s official, Angel Gowns Foundation Inc. (aka Angel Gowns by Diane) is a public charity as categorized by the IRS. We have been granted our full 501(c)(3) status effective March 16, 2015. Please contact Diane at [email protected] for more information on how you can help.